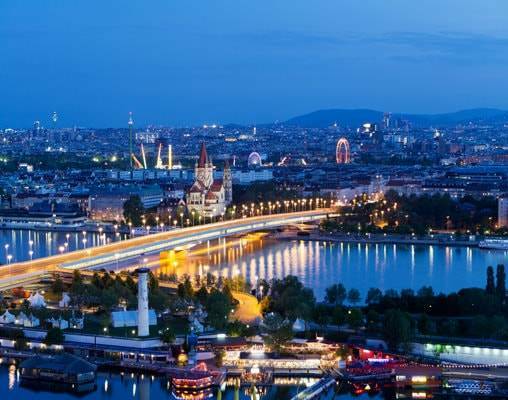 This tour combines the Old World splendor of Prague, Budapest, and Vienna for an elegant and eclectic vacation in Central Europe. 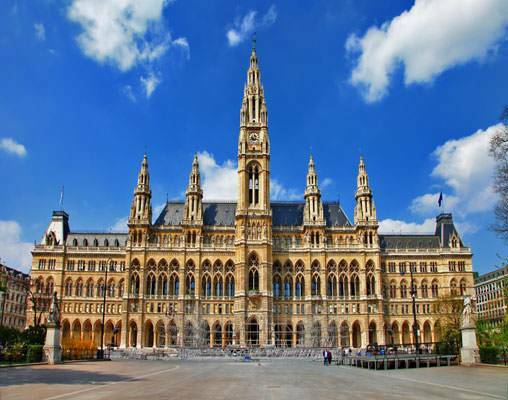 Take in the ornate architecture and stately elegance of Vienna. 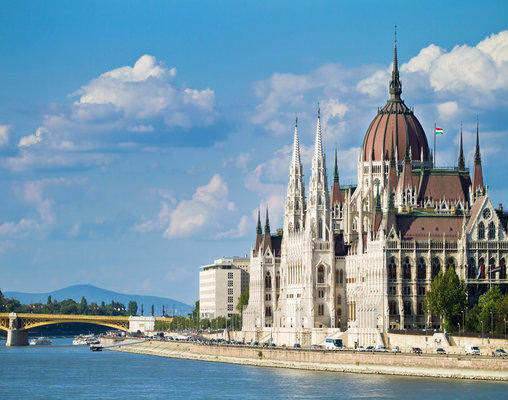 Roam Budapest’s wide boulevards and lounge along the banks of the Danube. 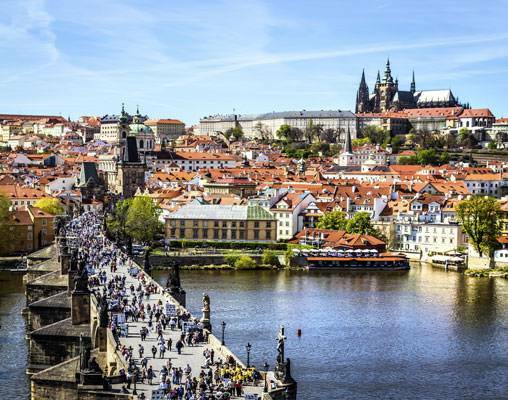 Indulge in Prague’s free-spirited charm and world-famous beers. Traveling by rail through some of the most beautiful countryside in the world, you’ll be able to relax and take in all the charm and wonder of these magnificent cities. Morning guided sightseeing includes impressive Heroes' Square with the Millennium Monument, built in 1896, at its center. Behind the monument is a semicircular colonnade with statues of famous men who made their marks on Hungary. Statues atop the colonnade symbolize Labor & Wealth, Knowledge & Glory, War and Peace. 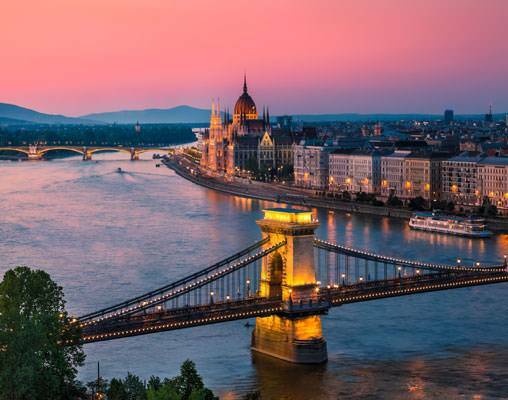 Also, take a drive up to the Castle District with Matthias Coronation Church, Fishermen's Bastion and magnificent panoramas of the city and Danube River. Your day is free to discover Budapest as you like. You may wish to visit Memento Park, the historical exhibition at the end of the city featuring communist era statues; explore the Botanical Gardens featuring more than 7,000 plants; or marvel at historic locomotives at the Hungarian Railway Museum. Your Local Host can recommend how best to spend your day at leisure based on your interests. During your morning guided sightseeing, visit splendid Schönbrunn Palace, the former summer residence of the Habsburg Dynasty. See famous landmarks along the Ringstrasse, including Heldenplatz with nearby Hofburg Palace, the National Theater, the State Opera House, Parliament, City Hall, renowned museums, and the Strauss Monument—a gilded tribute to the great composer. Your Local Host will have many suggestions for your day in Austria's “City of Music,” like the best places to sample Wienerschnitzel and where to shop for Mozartkugeln, a chocolate and marzipan treat. This morning’s guided sightseeing includes views of 1,000-year-old Hradcany Castle and a walk in the Castle Courtyards. See Staromestske Square, which dates back to the 12th century and started life as the central marketplace for the city. 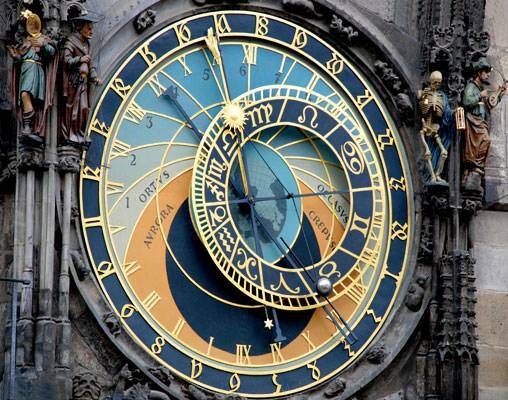 It is surrounded by historic buildings, beautiful churches, and the Astronomical Clock on the Old Town Hall Tower. Also admire Prague's famous Charles Bridge, a masterpiece of engineering and one of the oldest stone bridges in Europe. 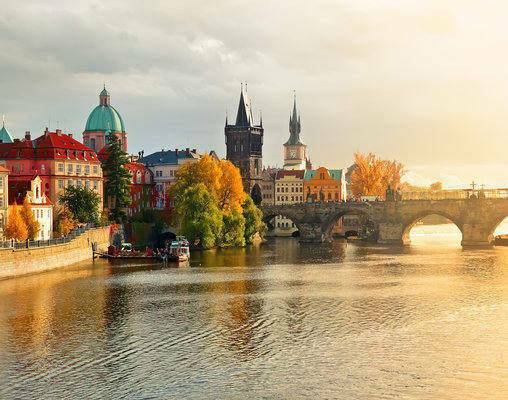 With a full day at leisure to enjoy the “Golden City,” consider ideas from your Local Host, such as a visit to the Strahov Monastery and Library. Click here to view testimonials for Budapest, Vienna & Prague. the guides who took care of us were especially wonderful. The accommodations were more than satisfactory and the rail experience was very enjoyable. Being picked up at each location and escorted to the next connection made the travel a breeze. And the free time in each city to use on our own was lovely. It was great that someone met us at the airport and each train station with transportation returning as well. Every guide in each city was helpful and made everything easy! 1st May 2019 $2,109 Please call for availability. Enter your details below if you would like to be notified when 2020 dates and prices are available for Budapest, Vienna & Prague.